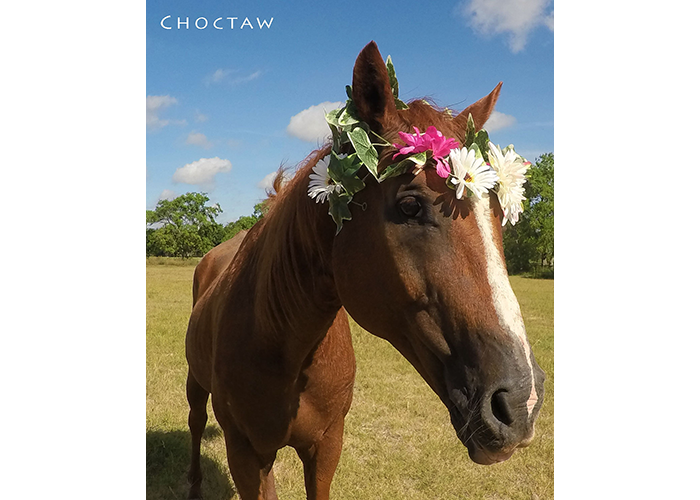 Choctaw is a 15.1 hands high Quarter Horse gelding. 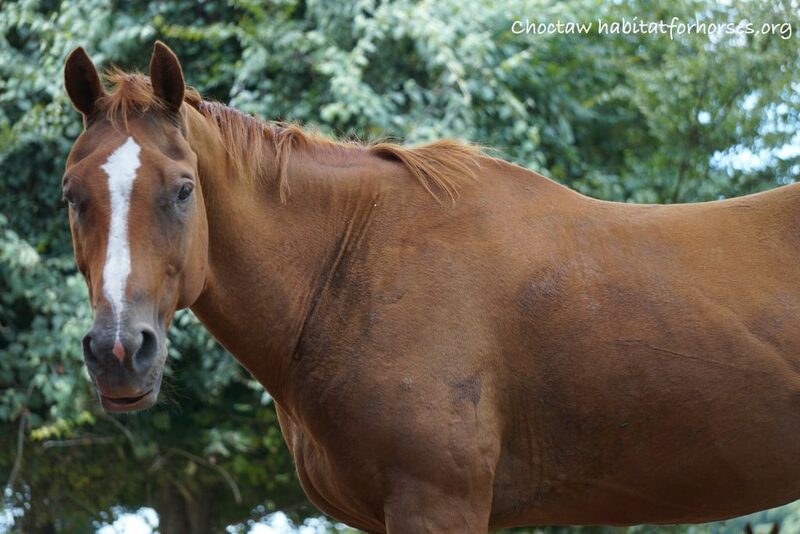 As handsome a Sorrel as you will ever meet, Choctaw is ready for an experienced rider. Choctaw moves out, stops and stands well, but needs some work on back-up and lateral flexion. Our trainers have tied, brushed and picked his front feet but he wasn’t keen on anyone messing with his back feet. He will stand for a nice long bath and scrubbing though and is healthy, enjoys his time under the saddle ad loves people! 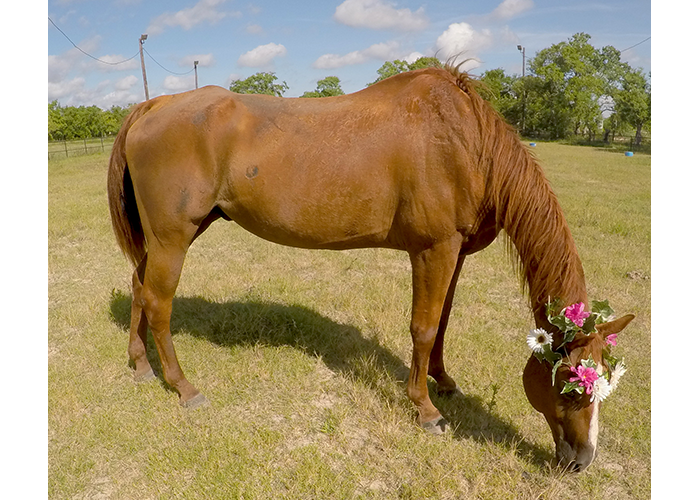 (Especially people who bring him treats) Choctaw is 24 and close to the top of the pecking order, but gets along great in a herd. Overall he loads well and has good ground manners expect for being pushy at times. And now he is just waiting for the right person to adopt him.